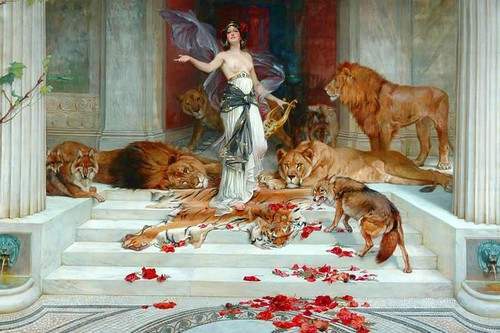 Okay, so Circe is like one of those chicks who doesn’t really need an excuse to do extremely rash and stupid things, like turning Odysseus’s crew into pigs because why not? Or better yet, turning Picus a man who scorned her, into a woodpecker. What says true and undying love like turning someone who rejected you into a bird? If that isn’t enough Circe gives definition to the saying,’ Hell hath no fury like a woman scorned.’ She once fell in love with Glaucus, son of the Titan Kronos, but, then she found out that he was in love with Scylla. Well, Circe being Circe, settled on the most obvious (NOT) course of action; she poisoned the sea that Scylla bathed in so that when she went into the water she grew six heads and basically turned into a monster. Here was the niece of Circe, and so obviously was just as deranged as her aunt. She fell in love with Jason of the Argonauts and promised to help him steal the Golden Fleece While Jason and Medea were sailing away from Colchis after acquiring the fleece, her father, the king of Colchis came after them, so what does Medea do? She kills her brother and chops him into tiny pieces so that her father has to stop and gather all of them to give him a proper burial. Talk about sibling rivalry. But of course that isn’t the end of it; In Iolcos, king Pelias refuses to give his throne to Jason, so the supportive wife that she is, Medea convinces Pelias’s daughters to chop him into pieces and throw them in boiling water (I see a trend here) to return his youth. I don’t get this guy; he was a son of Zeus and was well liked by the Gods so he got frequently invited to Mt. Olympus for dinner. How did he repay them? He stole ambrosia and nectar, the food of the Gods, and then went one step further and stole Zeus’s favorite dog. The Gods were obviously pissed but decided to give him one more chance, and boy did he screw it up. He invited them to a feast in which he killed his son Pelops, roasted his body parts and served them to the Gods. I don’t really understood why he did that like if he was out of food he could have just said so but nope you have to go the ancient Greek way and do something incredibly stupid. The Gods figured out what he did and killed him. And then Zeus brought him to Tartarus, set him in a pond with an unreachable fruit tree above him and cursed him with eternal hunger and thirst. King of Ephyra. Successful guy but of course that wasn’t enough for him, so every once in a while he would kill his guests to show that he was a ruthless king. Zeus sick of his mindless killing decided to have him thrown in Tartarus. But Sisyphus was a smart guy so when Thanatos the God of death came to take him away, he tricked the god into explaining how his chains worked and instead captured him in them and escaped. Since Death was now captured, people couldn’t die and this made Ares the god of war angry so he released death and captured Sisyphus. Sisyphus though escaped from the underworld again thanks to Persephone, whom he convinced that he needed to go back to Earth to punish his wife for throwing his body in the town square. In the end he had to be dragged to Tartarus by Hermes where he was given the eternal punishment of rolling a boulder up a hill. Lesson learned: It doesn’t pay to be too smart. He has one of the most disgusting births ever; Hera killed his mother but Zeus was able to rescue the fetus and sew it into his thigh (EW) till he was fully formed. Fast forward a couple of years and Dionysos is the God of Wine with a penchant for driving people crazy. Once some pirates kidnapped him, thinking he was a rich young man. They attempted to tie him up but for some reason they couldn’t, the helmsman of the ship realized he was a god but no one listened to the poor guy and they continued to insult Dionysos, until he turned them into dolphins. Another time, Dionysos went to Thebes which was ruled by his cousin Pentheus. Dionysos’s followers were drunk and very loud; Pentheus not recognizing Dionysos, ordered for his followers to be imprisoned. This obviously pissed him off and when he went to reason with Pentheus, he refused to listen. So, as is normal, Dionysos drove Pentheus’s family mad and they killed him. God of wine ain’t that fun after all. 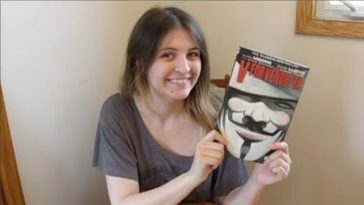 She was the Queen of the Gods and a definite psychopath. She was extremely jealous and vengeful, not that I blame her considering she was married to Zeus. However, sometimes she went a bit overboard with the whole revenge thing. Exhibit A being Leto mother of Apollo and Artemis. When Hera found out Leto was pregnant with Zeus’s kids, she cursed her so that she could not give birth on land AND she also set the dragon Python after her. Once she turned Callisto into a bear because Zeus fell in love with her. Like I don’t get it. Zeus is the one doing all the falling in love so why is everyone else suffering. She also once kind of had Dionysos ripped to pieces for being a son of Zeus and all. This guy just makes one reckless decision after another,not surprising though, since he is the son of Ares. He was married to Dia, daughter of Deioneus, who was promised a kind of dowry for Dia. But of course Ixion refused to pay the dowry, so Deioneus stole his horses. This made Ixion angry (surprise surprise) and as is the ancient greek way, he invited his father in law to a feast and then pushed him on to the coal pits and killed him. So Ixion got kicked out of all the cities and lived as an outcast until Zeus invited him to Olympus. In Olympus, Ixion decided to seduce Hera but was caught and thrown into Tartarus. Hermes had the honor of tying him to an eternal spinning wheel of fire. No one in greek mythology is as bad as this guy. The son of the Gaia and Uranas, he was the youngest titan. Uranus was cruel to Gaia and to his children whom he threw into the core of the Earth. Gaia convinced Kronos to kill Uranus with a sickle. 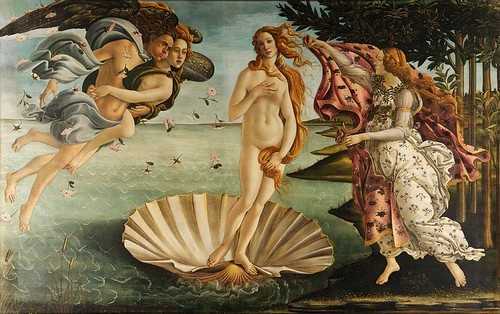 But Kronos of course went one step further and castrated Uranus, resulting in the creation of Aphrodite. After this he became king of earth and ended up marrying his sister Rhea. According to a prophecy he would be overthrown by his one of his children so naturally he swallowed them all except for Zeus who Rhea was able to save by handing Kronos a stone in baby clothes which he swallowed. It’s hard to believe he fell for that but well what can I say? Zeus grew up and ended up making Kronos vomit out all his siblings *gross* and then banishing him to Tartarus. What goes around comes around? Loses his son to a bull in Athens, so, what does he do? Demands a tribute of 14 young men and women from Athens backed by dear old Zeus. These 14 tributes were sacrificed to the Minotaur in the labyrinth. The Minotaur and the labyrinth in itself is a funny story. Minos was a being ungrateful so Poseidon made his wife fall in love with a bull; one thing lead to another and so she gave birth to the minotaur, half man –half bull. 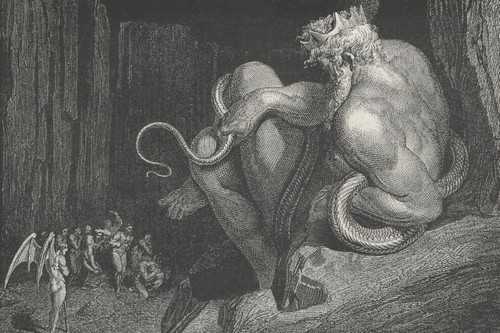 To hide his shame Minos captured Dedalus and forced him to make the labyrinth within which he also imprisoned him. One of the typical of Greek Mythological Figures. The Goddess of love had a dark side to her. She obviously didn’t like being taken lightly and so those who spurned her worship, well, they suffered quite a bit. She is responsible for the start of the Trojan War so I am sure you can just about imagine what she was like. The women of Lemnos refused to worship Aphrodite, and Aphrodite being the petty little princess that she was, she cursed them with a stench so bad that all their men were driven away. Some myths also say that it was Aphrodite who made Pasiphae fall in love with the bull and give birth to the Minotaur. Aphrodite was also kind of having an affair with Ares even though she was married to Hephaestus.